Welcome to All Saints! We are delighted that you have visited our website. 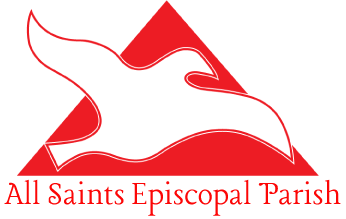 All Saints Episcopal Parish is a thriving community with long and deep roots in the City of Hoboken. We have over 500 members, provide three Sunday morning liturgies plus a casual Sunday evening liturgy, and offer services and opportunities for spiritual growth and fellowship throughout the week. We provide Sunday school programs for the children, a family service and a contemplative and choral Eucharist each week. All Saints was instrumental in founding the Hoboken Shelter, In Jesus’s Name Charities, and launched the Jubilee Center, a community outreach program that transforms the lives of students in West Hoboken every day of the year. All Saints is home to lively friendships and rich experiences. We invite you to get to know us, and we would be delighted to help you discern where your gifts for ministry lie that can help serve the people of God in this place. All Saints Episcopal Parish rejoices in your presence amongst us, and we look forward to moving from strength to strength together and growing more and more into the likeness of God with you. If you have any questions or would like to set up a time to discuss ways to get involved, please contact the parish office to set an appointment with the rector. Please sign up for our weekly e-news. If you would like more information about the parish and our ministries, please call the Parish Office at 201-792-3563 or email us. Help Out The Community: Outreach & Mission in Hoboken.